Commissioned Companion Artworks to Matiatia Frond, Telstra Events Centre, Manukau Auckland. The artworks were commissioned in conjunction with the purchase of Matiatia Frond by Telstra Events Centre. 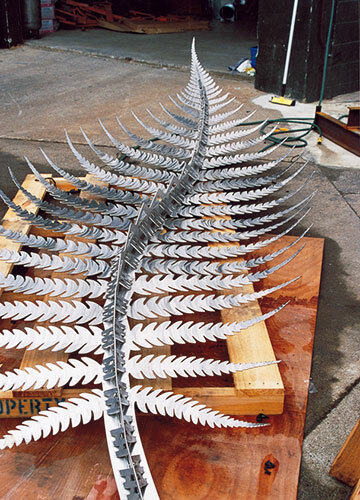 Fern were conceived to refer to both the geographic location and the proximity of the Manukau and Waitemata Harbours. 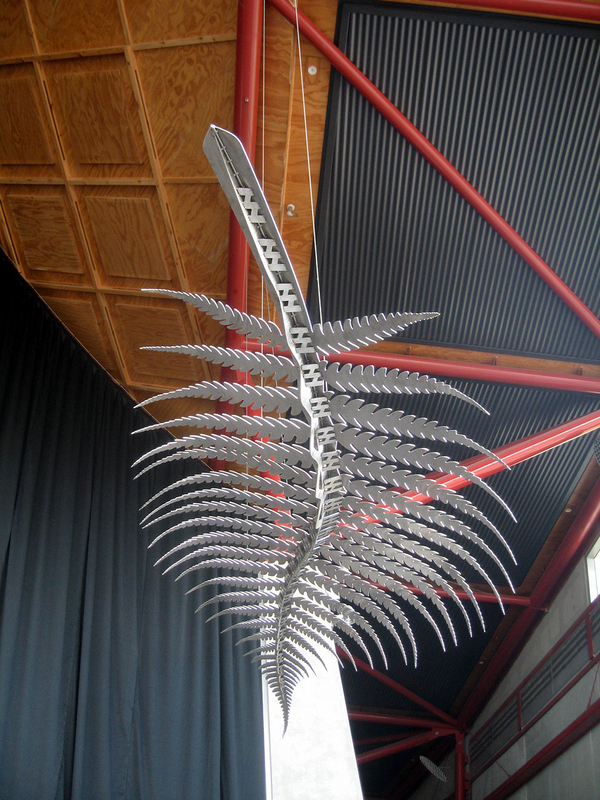 Feather, a six-metre work, is a stylised feather of a seabird, as a symbol of Pacific migration and the many nationalities that live in Manukau City. Fern, the five-metre, stylized fern frond, is a traditional symbol of the land and of peace and welcome. Dimensions: Length 5000mm x Width 2000mm tapering x Depth 500mm.